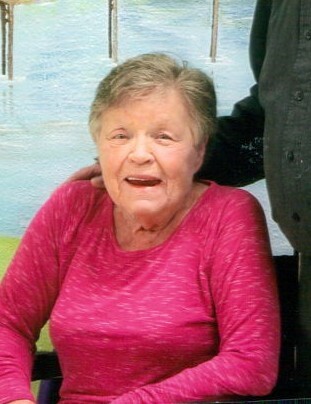 Jeanne E. Cox, age 81, of Marathon, Iowa died on Wednesday, December 26, 2018 at her home in rural Marathon. Memorial services will be held on Saturday, January 5, 2019 at 10:30 a.m. at the United Methodist Church in Marathon. Burial will be at a later date in the Memorial Park Cemetery in Sioux City. Visitation will take place one hour prior to the service at the church. The Sliefert Funeral Home in Albert City is in charge of the arrangements. Jeanne Elizabeth Wharton, the daughter of Luverne and Balance (Walker) Wharton was born in Sioux City, Iowa, on May 24, 1937. She lived her youth between Sioux City, Iowa and Compton, California. Jeanne graduated from Central High School in Sioux City. On January 19, 1963, Jeanne was united in marriage to James Cox at the Whitfield United Methodist Church in Sioux City, Iowa and this couple was blessed with two sons: Robert and Kevin. Most of Jeanne and Jim’s married lifetime was spent in Sioux City where Jeanne was an insurance agent and office manager. She retired from that profession in 1992. Jeanne and Jim moved to Marathon in 1993 and the past 8 years she was the librarian at the Marathon Library, retiring in August,2018. Jeanne was affiliated with the Marathon United Methodist Church. Special interests of Jeanne’s included creating and painting wood crafts and she and Jim enjoyed participating in area craft shows. She will be remembered as a woman who loved all types of animals. Her life is loved, honored and cherished by her family which include her husband: Jim of Marathon, Iowa, her son and daughter-in-law: Kevin and Kim of Marathon, Iowa, her beloved grandchildren: Michael (Sasha) Cox of Gretna, Nebraska, Samantha (David) Case of Springfield, Nebraska, Nicole (Cody) Simpson of Marathon, Iowa, Kacie Cox of Marathon, Iowa, James (Jen) Cox of Las Vegas, Nevada and Bobbie (Dr. Tim) Ryan of Atlanta, Georgia, her great grandchildren: Zarin, Zian, Zavin, Zaylan, Zander, Zoie, Keegan, Noah, Lila, Connor, Kylee, Jake and Jules, other extended family and many friends. She was preceded in death by her parents, her son, Robert, and one brother: Faye (Sonny).